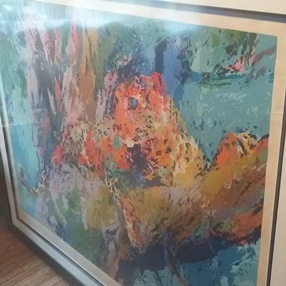 How to Transport Artwork Framed with Glass? To transport artwork to another city or country is never easy. 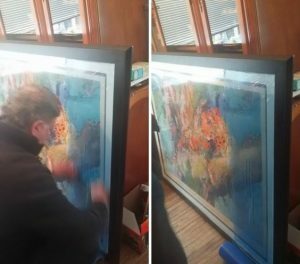 However, to transport artwork framed with glass is even more complicated. So how to ensure that your painting arrives at the destination without a scratch? Well, there are two main things you should pay your attention to. First of all, if you need to transport artwork over a long distance, you should hire a professional fine art shipping company for this job. Secondly, you need to properly pack and crate the painting using only high-quality materials created to protect art in transit. Let’s take a closer look at each of these points! When it comes to shipping art, antiques, luxury furniture, and any other items that require special handling and care, it is very important to hire a reliable team of art shippers for this job. The good news is that there are many professional art moving companies able to transport artwork of any kind, so you simply need to find the one that suits your requirements and budget best. For example, Fine Art Shippers is just a perfect choice if you are looking for an experienced team of art handlers, providing local and international art transportation services in New York City at a reasonable price. We can pack, crate, and ship artwork for you safely and securely to literally any destination in the world! Once you find reliable art shippers, you need to ensure that your painting is ready for the long-distance transportation. The best you can do is you can order professional art packing and crating services. However, you can also pack your artwork yourself. 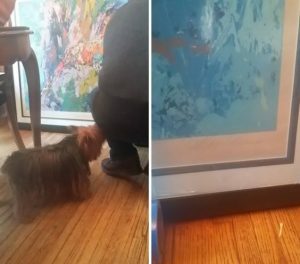 In such a case, pay particular attention to protecting the glass and preventing it from breaking and damaging the surface of the painting during the move. You can use special blue tape for this purpose as shown in the photos below. 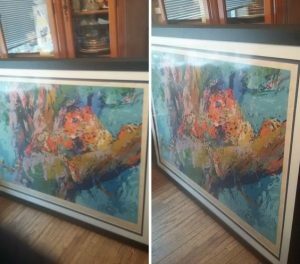 One more important thing to consider when packing a framed painting for the long-distance transportation is that using much cushioning material and sturdy cardboard boxes is usually not enough, especially if your painting is large and heavy. If you do want to transport artwork in the safest way possible, you need to order a custom wooden crate with reinforced beams for it. Only high-quality crates give 100% protection to art and antiques in transit. Please feel free to contact Fine Art Shippers for any additional information or help!